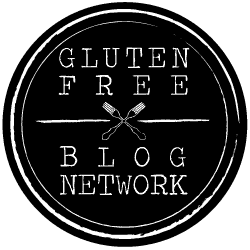 Traveling in Spain has certainly opened up my eyes to just how ‘common’ gluten free diets have become – thankfully for us, this is a good thing! Southern Spain has impressed me; with small towns home to many small but awesome cafes and restaurants offering gluten free menu options. For a country with a HUGE reliance on wheat for many of their meals, it was certainly a welcome surprise. Yay, I could eat the same food as everyone else! I always hoped a city like Barcelona would live up to its reputation of offering diverse and amazing cuisine, and even more so for those with Coeliac disease or gluten sensitivity. Like any city and depending on how much time you plan on staying, Barcelona is home to some beautiful markets. Markets where you can pick up fresh fruit, veg, cheese and other traditional delicacies. For me, having the option to buy and cook my own food is a ‘backup’ plan I like to know I can fall back on. I have walked away from restaurants with the rumble of hunger in my stomach way too often, you soon become a pro at planning when you have a dietary requirement like gluten intolerance. Get ready to feast your eyes on our top picks of places you can eat gluten free in the beautiful and romantic city of Barcelona. Buenos Dias or good morning, let’s start with gluten free breakfast of champions in Barcelona. There are a host of bakeries you can pick up a snack time breakfast treat (see below bakeries), but if you want to sit down and enjoy your breakfast in polite surroundings then look no further! Such a cute name for a lovely little breakfast place. Offering an impressive range and well thought out creative menu. Gluten free, dairy free and vegetarian are all well catered for. It does get busy, so be prepared to queue or arrive at 9am! Reminiscent of a breakfast space you would find in California, the laid back feel of Menssana immediately puts you at ease. An interesting and varied menu offering delicious, fresh gluten free food. Staff are also very helpful and knowledgeable! There is never enough time to eat in all the places you want, so the below are the tip of the iceberg when it comes to lunch and dinner options in bountiful Barcelona. As someone with a dietary requirement, when you see the word Kale in the name of a restaurant, you know there will be something you can eat. This lovely restaurant serves fresh food in a calm atmosphere. The service could have been better, but the food menu and taste certainly made up for it. Vegetarians and vegans are also catered for too. A lovely relaxed place for a spot of lunch. Certainly, a mouthful to pronounce, but definitely worth a visit. A lovely, cozy restaurant offering traditional Spanish food. Impressive gluten free menu and impeccable service make for a very special dinner. Sugar and spice and all things nice (and gluten free of course)! Donuts, cakes, muffins and other lovely little fancies are waiting to be devoured. A very swish, modern and ultra cool bakery where you can sit in or take away. A true gluten free gem. Our next sweet option is the traditional Pasticelia. A very cute traditional bakery offering a lovely range of gluten free treats. Choose one of their small and delicate Spanish fancies and sit on one of the many benches outside and watch the world go by. Great atmosphere, with friendly service. Eating gluten free in Barcelona is easy and with so many options available, you really will be spoilt for choice. Let’s face it, choice makes a refreshing change for people with dietary requirements.